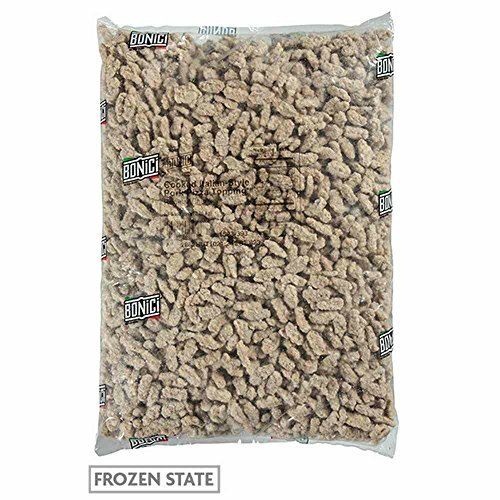 Tyson Pizzano Italian Style Regular Chunk Pork Pizza Topping, 5 Pound - 2 per case. Tyson Pizzano Italian Style Regular Chunk Pork Pizza Topping, 5 Pound -- 2 per case. Items designed especially for pizzerias with a selection of sizes, varieties and price points to fit all operations. Tyson Pizzano Precooked Regular Chunk Beef Pizza Topping, 5 Pound - 2 per case. Tyson Pizzano Small Chunk Beef Pizza Topping, 5 Pound - 2 per case. Johnsonville Pork Turkey and Beef Wiener, 80 Ounce - 2 per case. Tyson Regular Chunk Beef Pizza Topping, 5 Pound - 2 per case. Harvest Provisions Choice Cloud Pot Roast, 9 Pound - 1 each.